The recipe for Blueberry Muffins been requested by many. 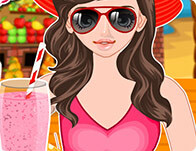 Here it is; in this online girl game you can prepare the recipe yourself in just a few easy steps. Use the mouse or touchscreen of your tablet to add the various ingredients. 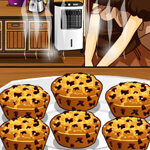 Click on the kitchen tools to use them. Have fun cooking!